She can't stop playing with him! Only a couple of months have gone by since two caged-up bears were saved from a bizarre kind of farm in Vietnam — but their joy is already showing, thanks to the new friends they're making. 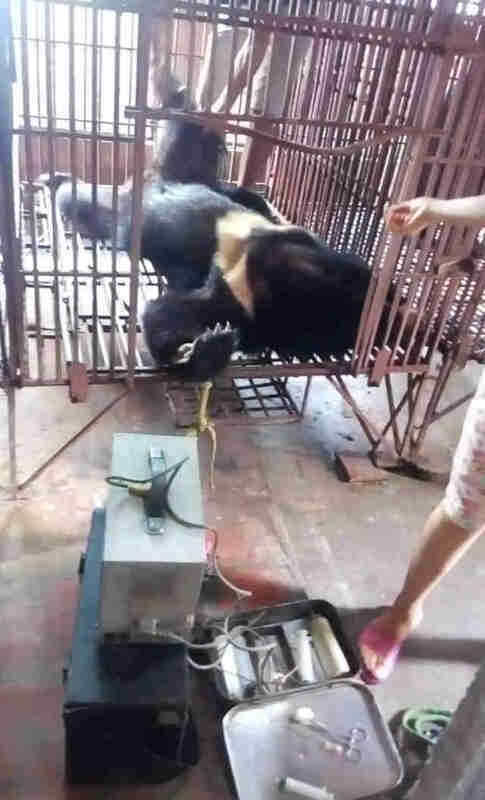 For 13 years, May and Binh Yen languished in dark, constricting cages because of a demand for something inside their bodies: bear bile. Bear bile is a digestive fluid that is in demand for use in household products and traditional medicine in the Far East. 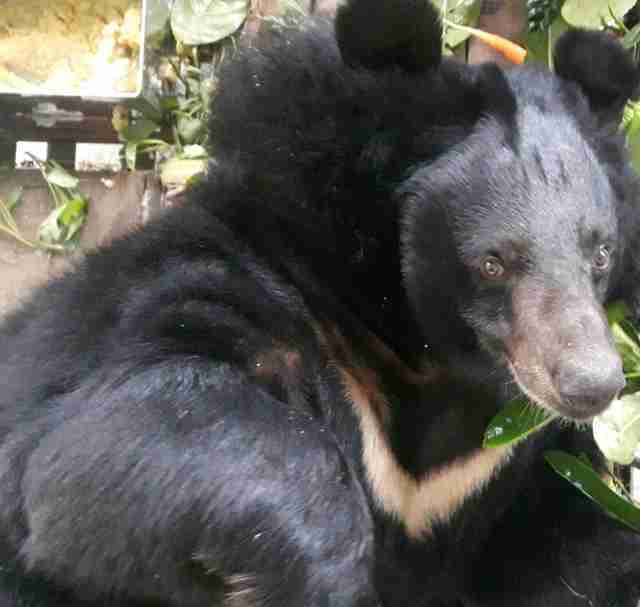 Bile farmers extract the fluid from an open wound in the bears' sides, which is not only very painful but also makes the animals at high risk for deadly infections and diseases. They eventually die from such complications. When May and Binh Yen weren't undergoing this torturous extraction, they spent hour after hour stuck in their tiny cages, deprived of fresh air and sunlight. Even though bile farming has been banned in Vietnam since 1992, authorities have a hard time enforcing the ban, and that's why Four Paws International has been trying to save the last bears kept captive for this sad practice. In April, freedom finally came for May and Binh Yen. 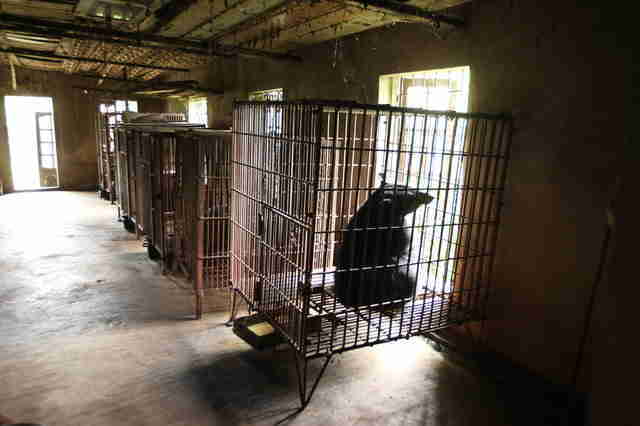 The locks were cut off their cages and they were moved to a sanctuary for bears in Vietnam run by Four Paws. Both bears had physical and emotional scars from their time kept captive on the old bile farm. They were given fresh fruit and greens to help them feel stronger. They were also introduced to their very own expansive and grassy land, where they are free to roam. May seemed particularly astounded by the new changes in her life. "Our caretakers have been working with May in an effort to grow her confidence," Claire LaFrance, communications director for Four Paws, told The Dodo. "We want her to feel completely at home in her new, vast enclosure. But we also know such a big space can be overwhelming." 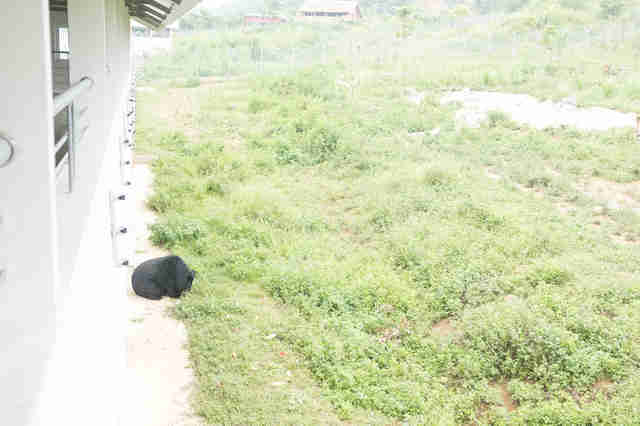 May's rescuers laid a path of fruit from the door of her house into the grassy field to encourage her to walk around. Perhaps the most transformative experience for the newly rescued bears was being able to meet other bears. 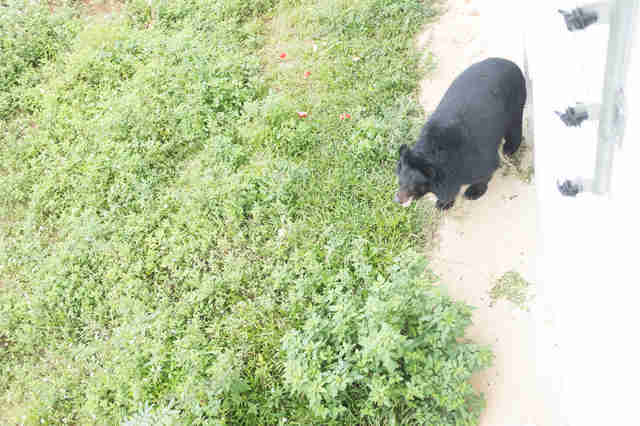 "After just two months of progress at our bear sanctuary in the Ninh Binh Province, our caretakers decided May was ready for an attempt at socialization," LaFrance said. "They moved May to where she could see, smell and hear other rescued bears." May could hardly contain her joy when she was introduced to another rescued bear in person. 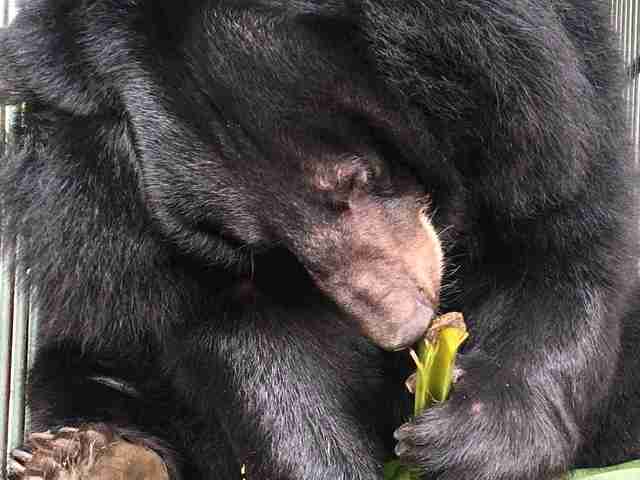 She met Thai Van and Thai Giang, two other former bile bears. "The three got along extremely well," LaFrance said. "They soon were together all day and all night. The three had been going outside every day but May has yet to leave the concrete strip in front of the house." 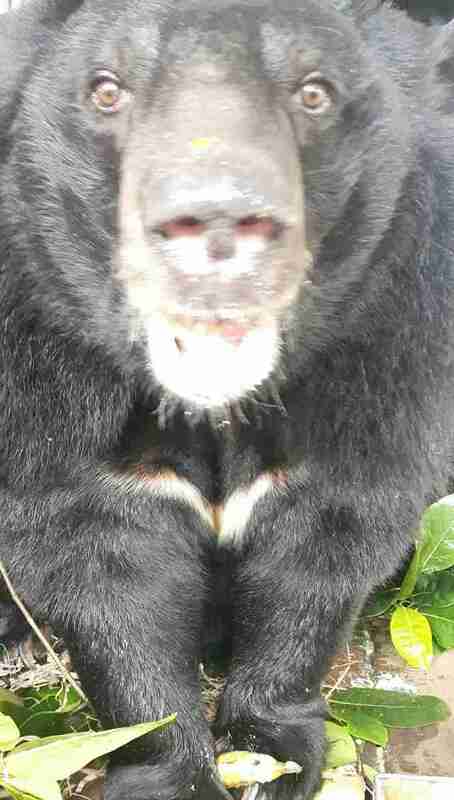 Binh Yen hit it off with another rescued bear named Misa. While Binh Yen is starting to explore his habitat with his new friend, May still seems in disbelief that all that beautiful land is really hers to enjoy. "A life in a small cage seems to have really affected May," LaFrance said. "She still spends a lot of time in the bear house although the door to the enclosure is open 24 hours." It might take years for May to comprehend that she's finally safe and loved — but the people and animals who love her will keep showing her that this is finally true. "She is safe and has nothing to do but get healthy and be happy," LaFrance said. 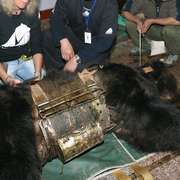 "We hope to work with her so that she can feel like a bear again. We are very optimistic. May now has bonded well with Thai Van and Thai Giang which means they will never be alone again." To help Four Paws care for all the bears they've saved, you can make a donation.